Looking for something to do with your honey on Valentine’s Day? There’s nothing better than curling up next to a warm fire on a cold winter’s night for a romantic evening. What will make it even better will be a set of Rolla Roasters, the original marshmallow toasting forks, and some artisan breads or juicy meat to toast over the flames. A pot of melted cheese will turn this toasting party into an exceptional fondue dinner. Dessert is just as easy- all you need are chunks of baked goodies, fruit or marshmallows. Just toast them over the flames and dip them into a pot of melted chocolate. Yum! This will be a Valentine’s dinner to remember. Rolla Roasters are available in pink and red- perfect for Valentine’s Day gifts! If you’re still looking for a gift for your Valentine then check out the Rolla Roasters. These toasting forks are made for people who love comfort and convenience while they’re exploring the outdoors. The fork collapses down to 12″ for storage and telescopes out to 42″ for ease of cooking over a campfire. The hardwood handle comes in the traditional February 14th colors of pink and red- which makes shopping for your sweetheart even easier. Give your Valentine something they can use and enjoy all year! 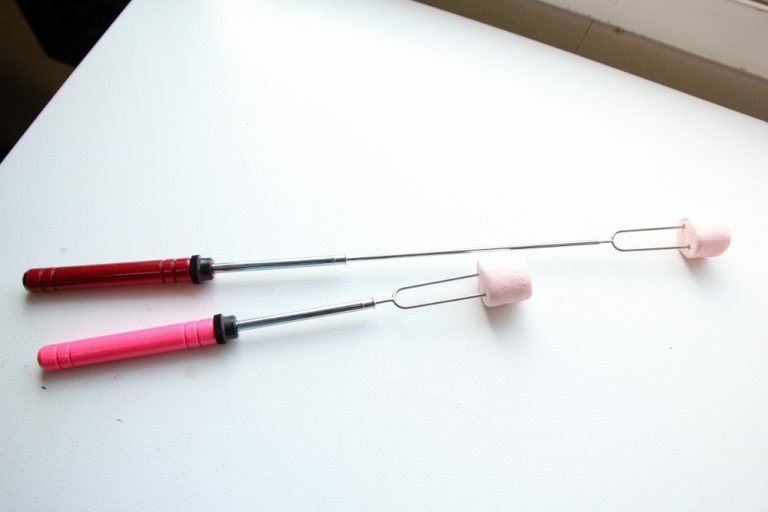 Visit www.RollaRoaster.com today to order the original marshmallow toasting fork and more great products. Posted in Campfire Cooking and tagged Dinner date, Fireplace, Fondue, marshmallow toasting forks, Romantic date, Valentine's Day.